City Tour by eTukTukZürich. Your sustainable city trip. On this out-of-the-ordinary city tour in a 100% electrically-powered tuk-tuk, guests can feel the pulse of the city close up. 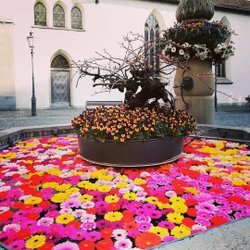 This eco-friendly city tour takes visitors to the most famous sights and squares in Zurich. 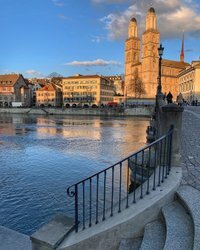 The experienced guides tell guests fascinating stories about Zurich and its inhabitants, as well as all kinds of interesting background information. Individual photo and shopping stops are possible at any time, and personal wishes are also taken into consideration – guaranteeing an unforgettable experience. Round trips can be arranged for up to 30 persons; each vehicle can carry 4–5 passengers. 10% discount on the City Tour with the Zürich Card. 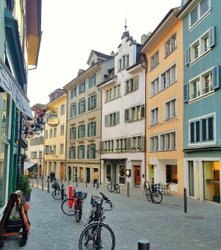 In the world´s first Fondue eTukTuk, you can enjoy a tasty fondue while touring through the streets of Zurich. The Guided eTuk Walk Ride combines an eTukTuk city tour with a fascinating guided walk.